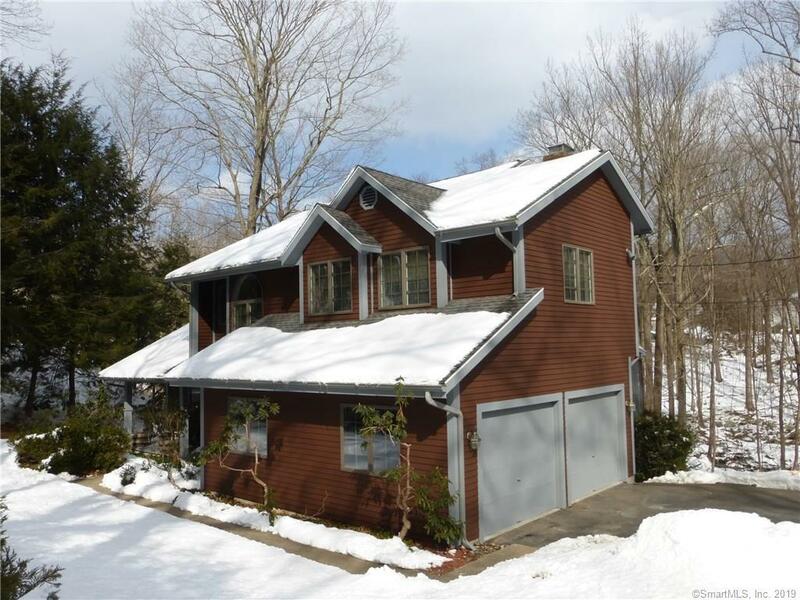 Well maintained contemporary Colonial w/ a newer "in-law" apartment or the ultimate "man cave". This beautifully updated home offers 8+ rooms, 3-4 BRs, 3.5 (remodeled) baths & 2 car garage. Features a master bedroom suite w/ vaulted ceiling, lavish full bath, completely tiled w/ a jetted tub, glass enclosed shower & a walk-in closet. The updated kitchen (newer appliances, granite counter tops & breakfast bar) opens up into a family RM with a gorgeous, wood burning fireplace w/ a pellet stove insert, walk through the French doors onto a large screened-in (mahogany) porch, offering serene views of the lightly wooded back yard & a babbling brook (Perfect space to relax after a long day). The 2 story entrance foyer w/ new front door is sure to impress your guests as will the living room & dining room w/ vaulted ceiling. HW floors throughout both levels, newer heating system w/ 3 zones, energy efficient (Daikin) split unit in FR w/ A/C, heating & de-humidifier, 220 HU in garage for your electric car or welder, a generator HU w/ portable, propane generator & much more. The in-law apartment offers a gorgeous kitchen w/ granite counter tops, center island, SS appliances, LR/ BR area, full bath w/ walk-in shower, abundance of closet space, separate washer & dry HU & French door to a private deck & patio. This addition alone cost over $40,000 (legal w/ all permits in place) plus much more $$$ for other recent upgrades, newer roof & more! Priced below market value for immediate sale! Directions: Rt. 42 To Burton Rd.